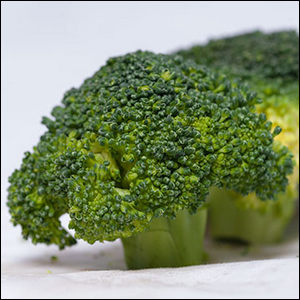 McDonald’s Engineered, And Then Scrapped, Broccoli That Tasted Like? In The American South, Millions Of People In The Early 1900s Suffered From A Crippling Dietary Deficiency Of? In recent years, McDonald’s began a campaign to tweak the Happy Meal to be healthier. Some of those changes are still with us today: reduced fry serving sizes in Happy Meals, the addition of apple slices, low fat yogurt, and so on. While the actual health benefits of some of those changes may be up for debate, they’re certainly not as curious as the change that didn’t stick: bubble gum flavored broccoli. Unlike McDonald’s other slam-dunk innovations like including toys with the Happy Meal or the very premise of the Happy Meal itself, the bubble gum flavored broccoli didn’t even make it out of the testing and feedback phase. All the children in the test groups simply found it repulsive. Their brains said “this will taste like a vegetable”, but their taste buds said “this is bubblegum” and, as it just so happens, there is apparently no child on Earth that enjoys the confusion of taking a bite of a piece of broccoli and getting hit with an overwhelming taste of bubble gum. Go figure. Later introductions like baby carrots and tangerine slices (that actually tasted like carrots and tangerines) proved to be far more palatable to kids.